The holiday season is a time to unplug, catch up with family, relax, tune into a marathon of It’s a Wonderful Life, eat good food, and yes, sleep it off. It’s also a great opportunity to hit the slopes or get out of town, if you can manage it. But despite these seemingly ideal conditions, the holidays are not all reindeers and fruitcake — the stress of shopping for gifts can take a serious toll. 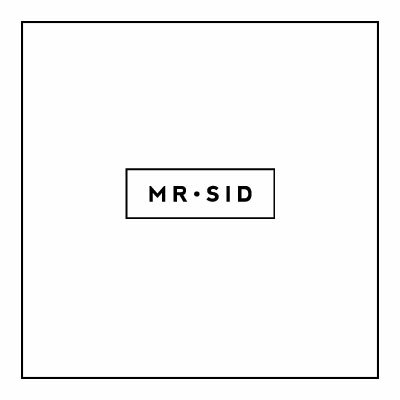 You need gift ideas, and Mr. Sid is here to help. Even if you try to avoid last minute gift shopping, the holidays always seems to attract the worse in mall-shoppers. People get competitive, impatient, and rude. So skip the mall this year in favor of relaxing at Mr. Sid; sip a little rum and eggnog by the fire, have a cigar, and enjoy some spirited conversation. With this in mind, we’ve put together our very own Holiday Gift Guide for every man on your list (or for yourself)! Give something he’ll use everyday. The perfect piece to start a collection, a wallet from Ghurka epitomizes the brand’s heritage of craftsmanship, constructed for the modern man. Standing the test of time for over forty years, Ghurka’s leather money pieces for men are an iconic symbol of true American luxury. Know a clean cut man who enjoys an occasional cigar and whisky? Pick up a cigar case, bar kit, manicure set, or shaving kit from F. Hammann Leathergoods Company and he’ll be the pinnacle of class with his impeccably distinguished taste. Falling under the “practical gifts” category–boxer briefs. But not just any boxer briefs. SAXX Underwear Company creates game changing, next-level apparel that allows freedom of movement – that feels like it’s barely there, that elevates everyday experiences and that just work. Stylish gifts are always a hit. The style-conscious man will certainly appreciate the aesthetics found on these luxury headphones byPRYMA. Handmade in Italy by Sonus faber, PRYMA’s state-of-the-art high fidelity technology marries unparalleled sound quality with luxury design. The combination delivers flawless sound clarity and comfort for the most elevated experience in personal audio today. Seeking unique gifts? Choose any scent handmade by master parfumier Nasomatto and you’re sure to wow his olfactory senses. Try Silver Musk, described as “aiming to evoke superhero magnetism.” Who doesn’t want to be a superhero?! Hopefully we’ve been able to help you pinpoint something to give to that hard-to-shop-for man in your life (or, something to buy for yourself) this holiday season. Short on time? No problem–purchase a gift certificate online, or stop in during our extended hours during the weekend of December 18th and 19th for personalized service and complementary gift wrapping. Happy Holidays from all of us here at Mr. Sid!